Do you need an asset investigation? Check out our great customer reviews. This is the second time I am using American Eagle services. I am very impressed with the owner, Dan. He is very professional and not pushy. Instead he provides suggestions, and it is up to you to figure out what you need. This worked perfectly for me. I hope that I would not need PI services in the future, but if I do, I will work with Dan again. Check out even more great reviews on our testimonials page. What is an asset investigation? Asset investigations seek to uncover tangible hidden assets such as cash, vehicles, securities, real estate, lines of credit, and lines against those assets or bankruptcies. We will do our part for your asset search and find these assets and uncover any liabilities that may be attached to them. Who requests an asset investigation? What information does American Eagle Investigations need to perform an asset investigation? Changes in the law have made some types of asset searches more difficult. Subpoenas only cover a single bank branch, not the entire branch network. Furthermore, while an asset investigation can readily uncover the name of a bank, locating an account number is a more time consuming and costly challenge. How you will benefit from our asset investigation service? 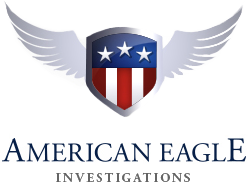 At American Eagle Investigations we offer an unwavering commitment to uncover the truth. Our asset investigation report will detail our findings and provide you with peace of mind. We recommend you begin your due diligence by contacting us for a free confidential consultation. Call 212-344-8997 or use our contact form.